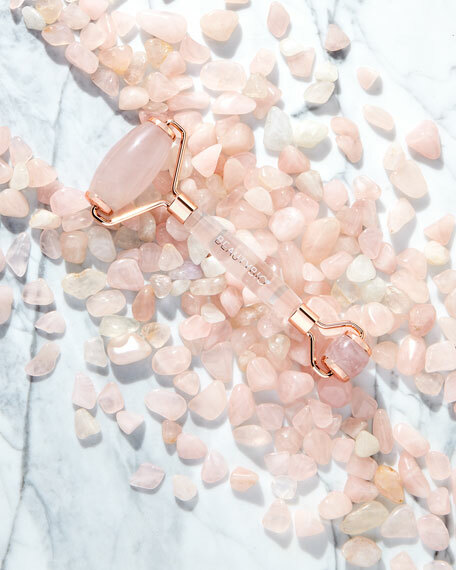 Experience the cooling, contouring power of hand-selected, Brazilian rose quartz crystal. The dual-ended roller promotes circulation for glowing, healthy skin and releases tension in facial muscles. Use after skincare application to help seal in benefits, and for an extra de-puffing effect, store in your refrigerator. 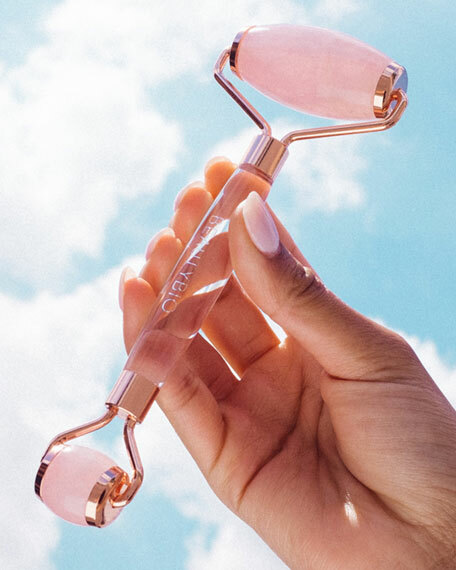 Glide Rose Quartz Roller over target areas. Use wider end on face, neck and body. Narrow end is designed for use under and around the eye area. Can be used throughout the day as desired. Use after topical skincare application to maximize benefits. To clean your Rose Quartz Roller, wipe gently with a damp cloth and towel dry after each use. Store in bag provided for on-the-go use. 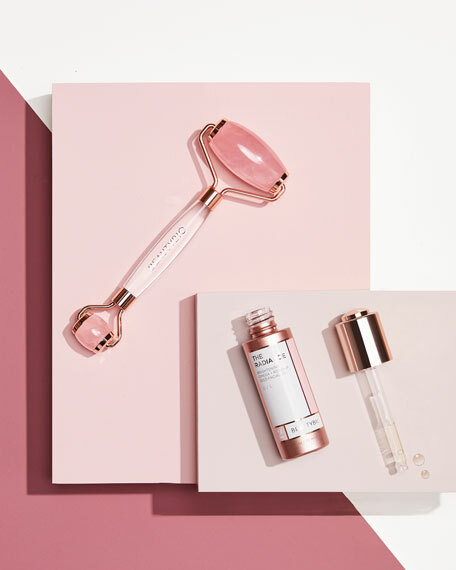 Store your Rose Quartz Roller in the fridge to help keep puffiness at bay. 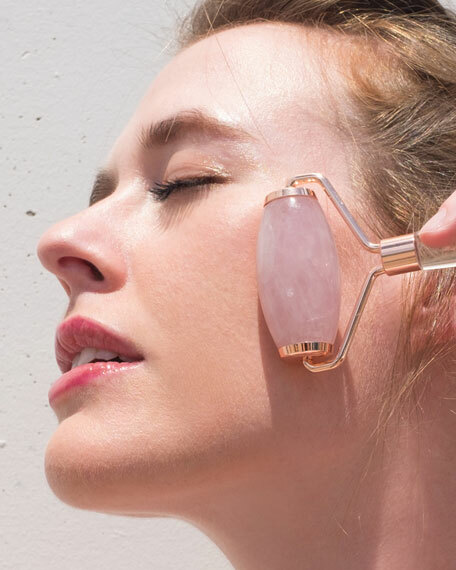 The stone is naturally cool, but the soothing effect of the chilled rose quartz is an at-home, spa-level experience.